Grove Team Keller Williams: Selling this Summer? Six Upgrades to Secure a Speedy Sale! Selling this Summer? Six Upgrades to Secure a Speedy Sale! When the weather warms up, so does the real estate market. Spring and summer are traditionally the seasons when both home buyers and sellers are most active across the country. If you will be putting your home on the market this year, simple, cost-effective upgrades can help ensure a speedy sale at a good price. It’s easy to see the impact of worn or dated carpeting. New carpet is one upgrade that has a high ratio of value to cost. It substantially increases perceived value for home buyers without requiring home sellers to spend a bundle. If your carpet is still in great shape, then simply having it professionally cleaned can make it look even better. A deep professional cleaning helps lift tough soils and provides a cleaner, fresher look to rooms. Don’t forget to clean all other flooring, including hardwood, laminates and tile. Buyers will appreciate a sparkling clean appearance throughout the house. Fresh paint is another smart and cost-effective upgrade for sellers. Buyers expect it, yet many sellers hesitate to repaint. Perhaps they like the existing colors or balk at the cost of professional painting services. Yet repainting in neutral colors makes a room look fresher and brighter, and gives buyers a cleaner visual against which to imagine their own decor. Do the work yourself and you can reduce the cost of repainting even further. You may find that disco-ball style globe light charming in your kitchen, but the average buyer doesn’t want dated or unusual lighting. 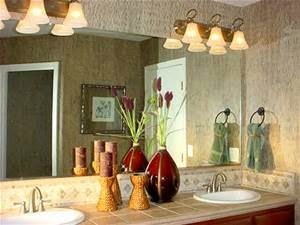 Replacing dated or worn fixtures, especially in bathrooms and kitchens, is a cost-effective way to give a room a more up-to-date, contemporary look. If you already have newer fixtures, consider replacing incandescent bulbs with high-efficiency options such as CFLs or LEDs. Although they’re a bit more expensive to purchase, these bulbs last years longer – a selling point for buyers who will reap the value of not having to replace bulbs any time in the near future. A high-end faucet can completely change the look and usability of a kitchen or bathroom. In terms of cost versus value, an upgraded faucet, such as pull-out or even touch-free styles, can dramatically increase perceived value for a relatively modest investment. An upgraded faucet is a thoughtful touch that will set your home apart in buyers minds. 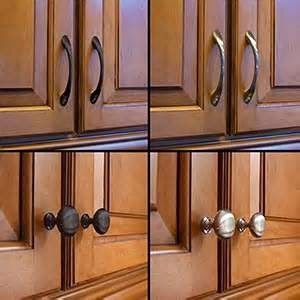 You may have already thought of upgrading kitchen cabinet knobs and drawer pulls, but have you also upgraded hardware in your bathroom or on the front door? These seemingly small items have a major impact on the overall visual effect of a home. In desirable rooms such as kitchens and baths, designer hardware can elevate the entire look of the room. And upgraded door hardware will ensure buyers have a positive first impression from the moment they enter your home.